As I check the weather report each day, I’m reminded that so much of life is about doing the footwork and letting things happen the way they’re supposed to. What prompted this topic is a Spring Break trip I have planned to “the old sod” next week. 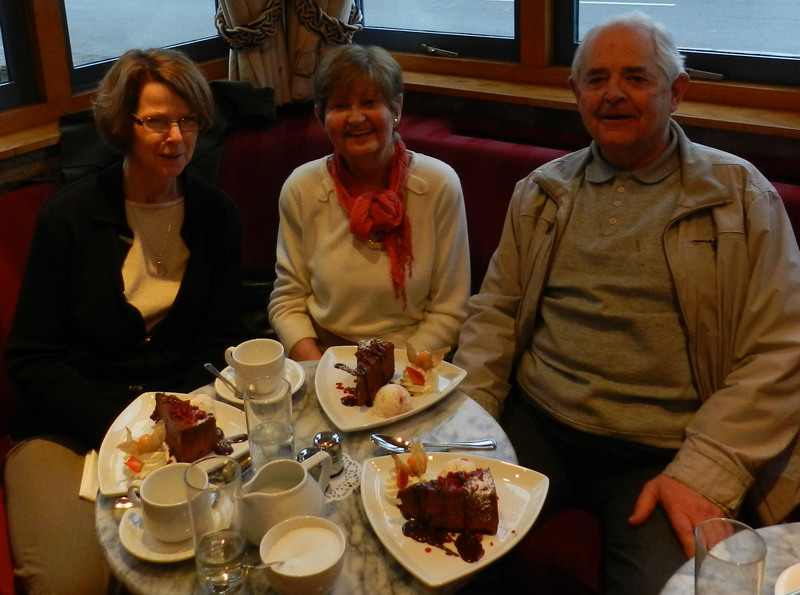 My cousin Martha and I have been looking forward to a week in Ireland since last fall. Who knew the US would be pounded week after week with blizzards and arctic blasts. And did you know that Ireland has been pounded all winter with deluges and fierce winds? Buildings swept out to sea, roads washed away, main streets under water. We have no control! We may not even make it out of Rochester. Nevertheless, we’re planning a wonderful week in Ireland starting in Cork and working our way around the southwest coast and up to the Cliffs of Moher. Grand! What has any of this to do with writing novels? Setting out to write a book, for me, is the same back-and-forth of planning and letting go and re-planning and letting go. I might begin with a brilliant outline and a richly developed GMC chart, but those characters of mine are going to wrestle me around to their points of view, their burning issues, their dreams and their schemes! I am merely their conduit. The good news is, with them taking such strong roles, I can put a lot of my energy into the writing. That seems to suit all of us, as my writing is improving all the time.